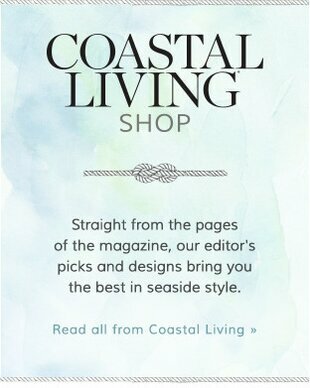 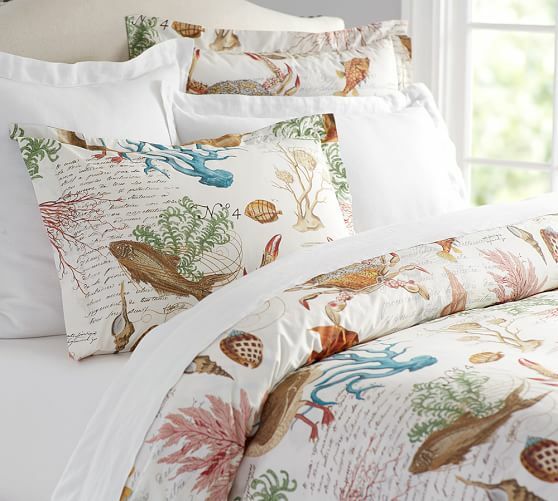 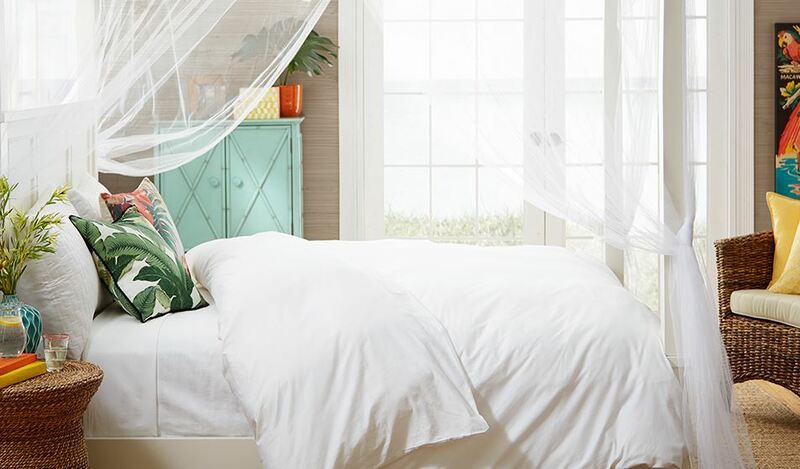 Soft and so pretty – this coastal duvet will you have dreamy of beautiful sunset and walks along the beach. 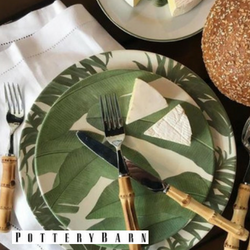 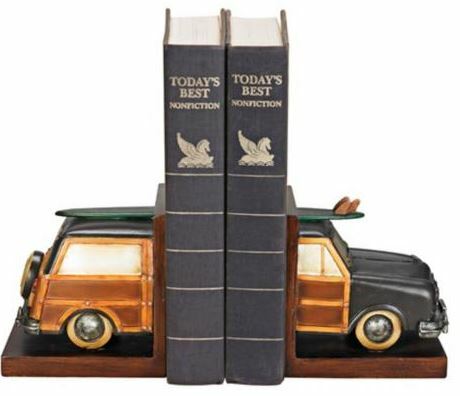 Purchase here at Pottery Barn. 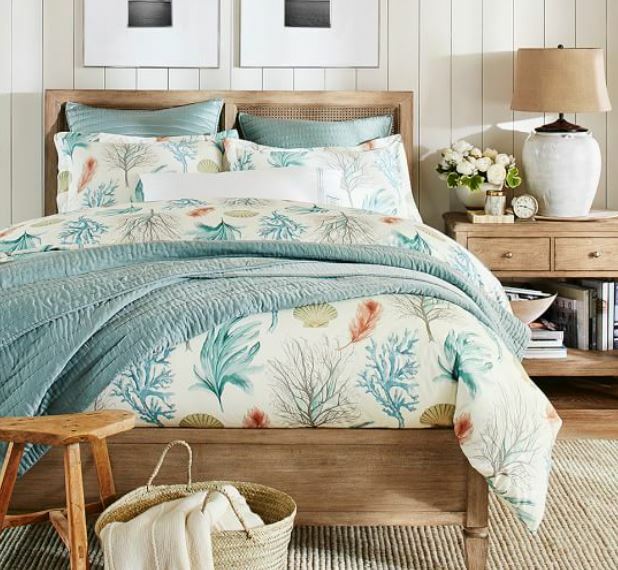 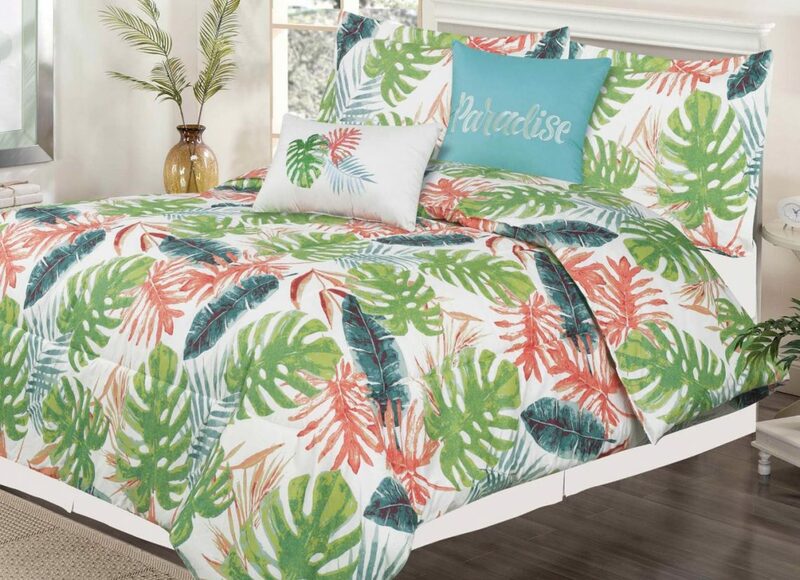 View more Hawaiian bedding sets. 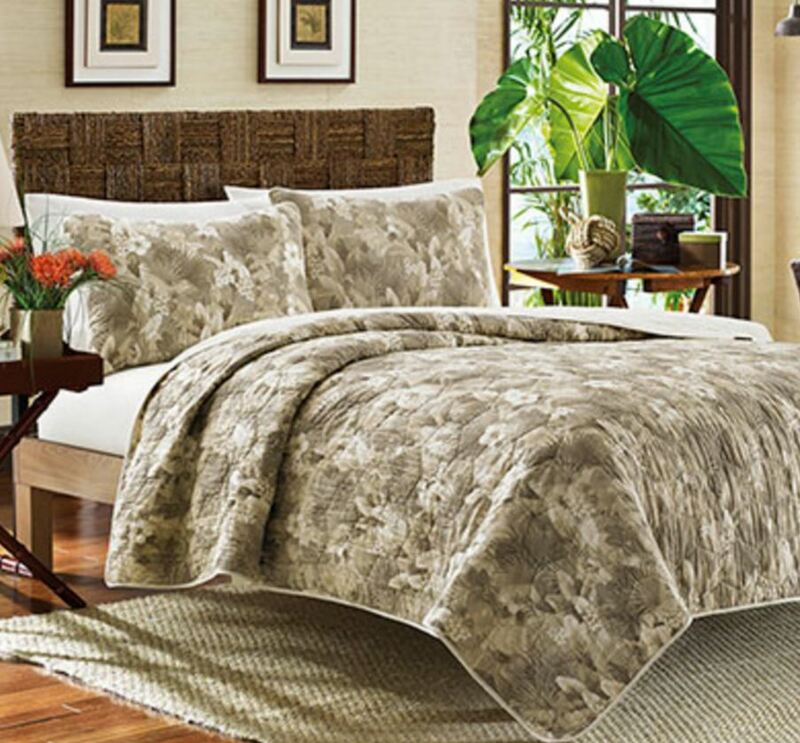 It’s Monday and I’d rather stay in bed wrapped up in this Tommy Bahama hibiscus quilt. 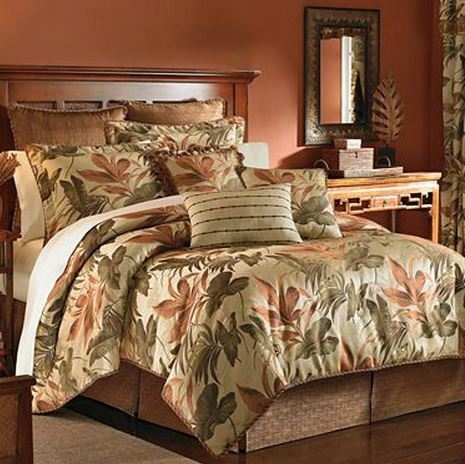 It has a tone of tone grey and ivory color pallet and is available in sizes twin to king size. 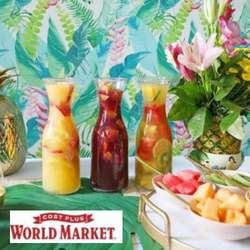 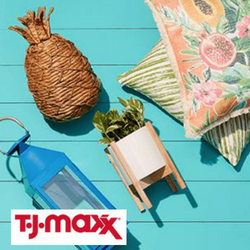 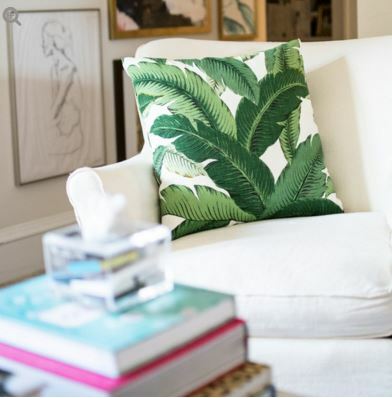 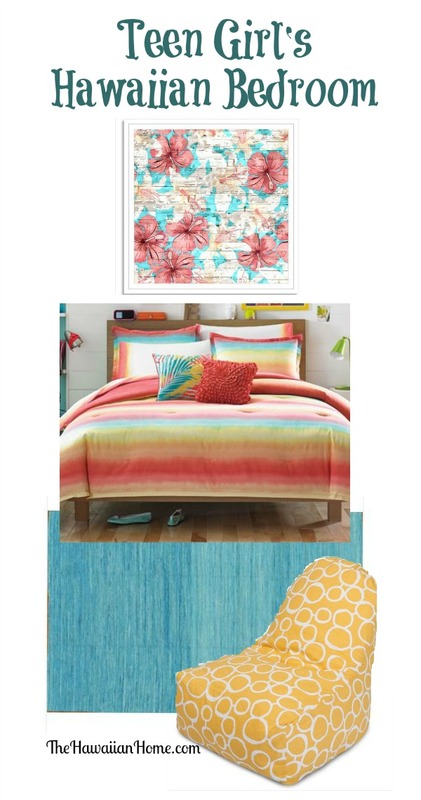 Bring in some bright tropical prints to add a pop color. 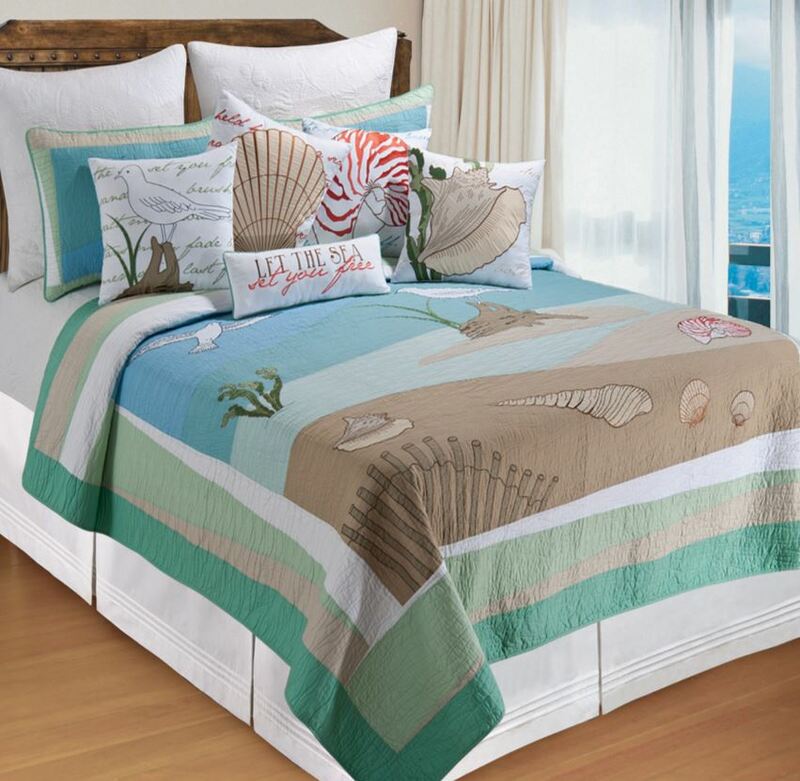 View more bedding sets here. 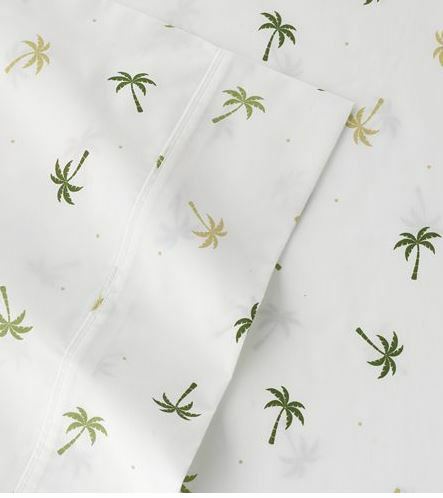 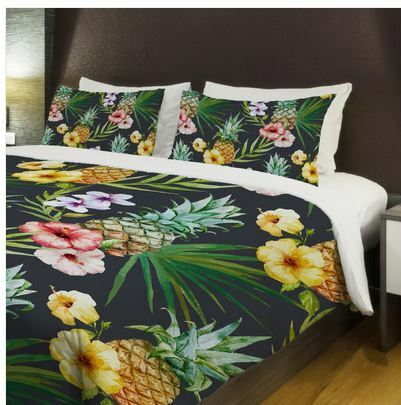 Today’s feature is this fun Hawaiian pineapple bedding. 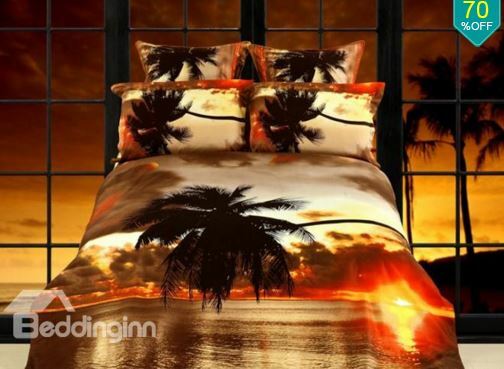 I love how the colors pop. 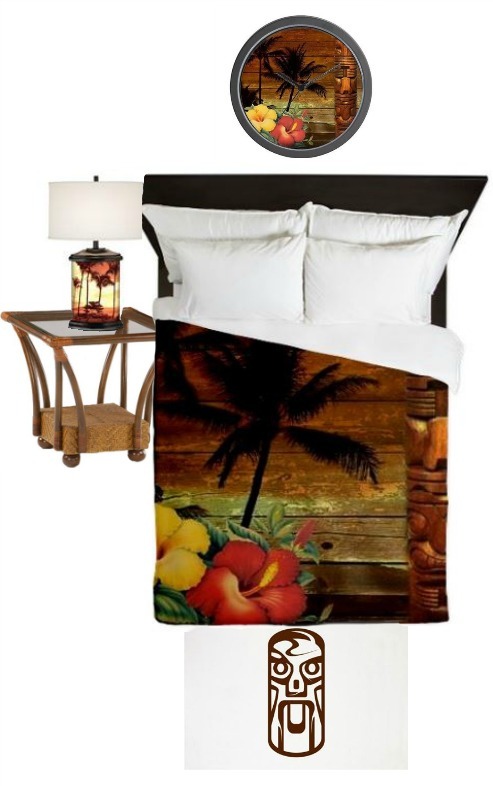 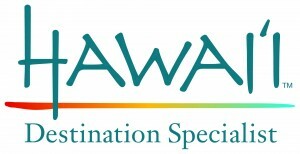 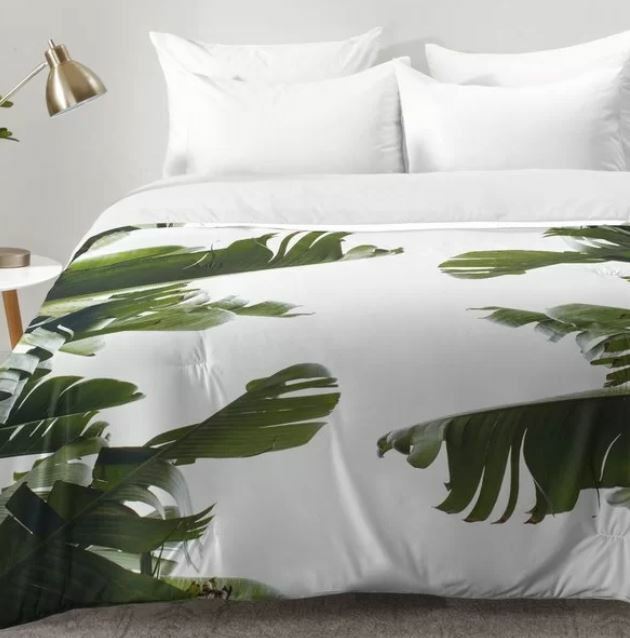 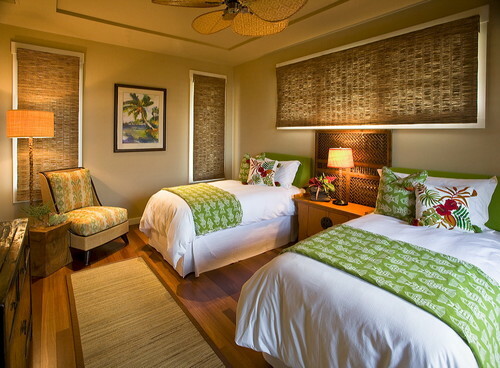 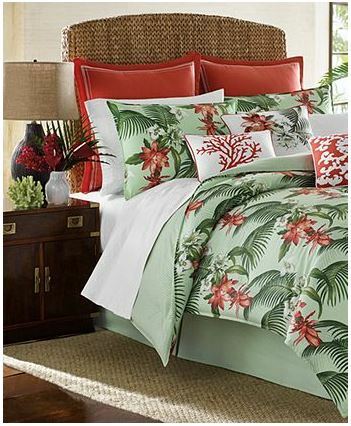 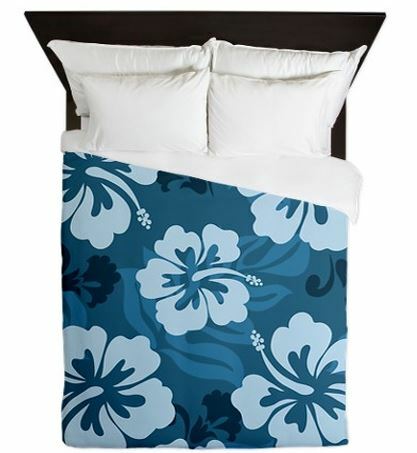 View more Hawaiian style bedding.